The Entergy Solutions Program provides technical and financial support to help commercial Entergy customers identify and implement projects that reduce energy usage. 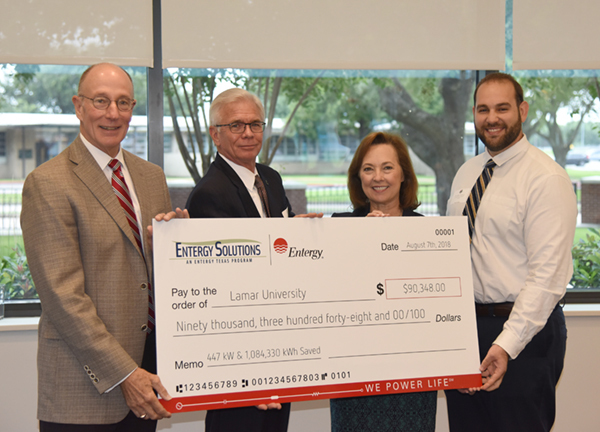 Lamar University has participated in the program since 2016, partnering with Entergy Texas to complete a wide variety of energy efficiency projects that in total have saved over 1.08 million kWh. With the latest round of upgrades complete, the university is projected to save over $65,000 in electricity costs annually. The first project Lamar completed was an HVAC retrofit in the John Gray Library in 2016. Lamar then completed a lighting retrofit in the Cherry Engineering Building. Then, the university tackled an even larger lighting project in the Montagne Event Center, where 98 inefficient metal halide fixtures were replaced with 24 LED fixtures, and 155 incandescent bulbs were retrofitted with 28 LED fixtures. The upgrade also included a new lighting control system that is manageable by smart phone. In 2017, the university underwent a chiller retrofit at the North Central Plant, replacing an 890-ton centrifugal water-cooled chiller with a more efficient 520-ton screw water-cooled chiller. Further HVAC improvements were made to the Wayne A. Reaud Building and the Morris Hall residential complex. Most recently, LU’s Education Building and Galloway Business Building received extensive energy efficient lighting updates. In total, these projects are saving 1,084,330 kWh, which is equivalent to eliminating the carbon dioxide emissions from 90,778 gallons of gasoline, according to Environmental Protection Agency calculations. 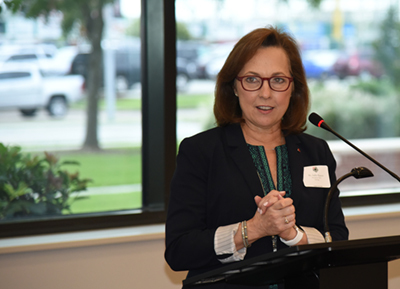 "It is exciting that the energy saving measures Lamar is implementing, such as lighting retrofits, are providing more efficient use of resources and saving the university money,” said LU Director of Sustainability Alicen Flosi. “I am confident that these measures will grow in the future as ‘Big Red Goes Green.’"
Home to more than 15,000 students, Lamar University is among the fastest growing Texas colleges and universities, and is a member of The Texas State University System. LU offers more than 100 programs of study leading to bachelor’s, master’s and doctoral degrees. LU has been nationally recognized for the quality of its core curriculum and the diversity of its student body. 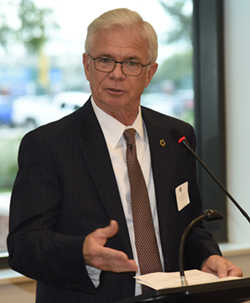 Lamar stresses academic achievement by emphasizing hands-on learning at all levels, providing ample opportunities for undergraduate research, study abroad and supporting the excellent Reaud Honors College. The Commission on Colleges of the Southern Association of Colleges and Schools accredits the university. Several LU colleges and programs hold additional specialized certifications recognizing their quality and expertise.